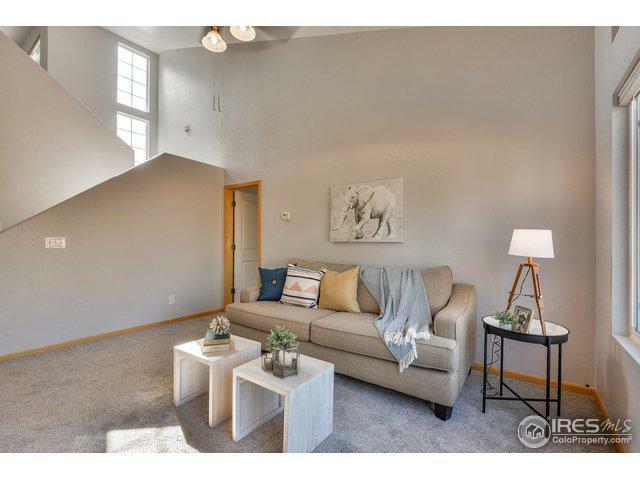 Charming end unit townhome features 3 spacious bedrooms, 2.5 baths, a main floor master, open concept, light & bright with natural sunlight, private patio, small yard area & an attached 2 car garage. 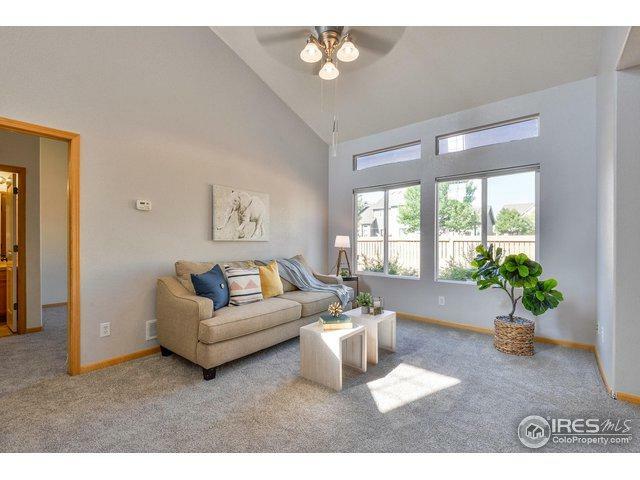 This property is surrounded by a lot of green space, has a low HOA fee when compared to other townhomes- covers lawn care, snow removal, exterior maintenance, water/sewer, hazard insurance & common areas. 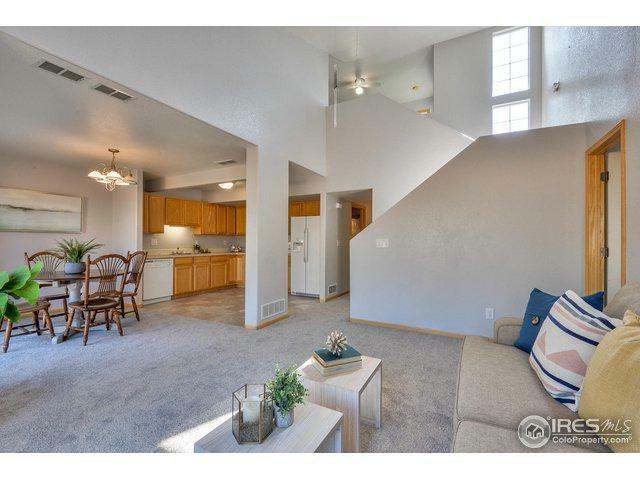 Newer paint, new carpet, new blinds, appliances included. 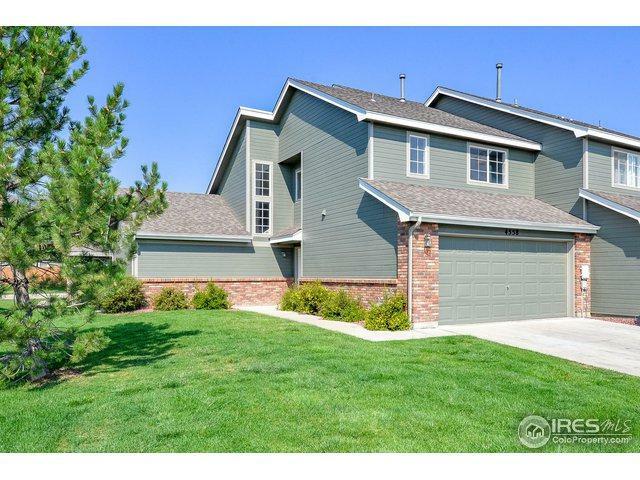 Listing provided courtesy of Leah Ludwick of Re/Max Alliance-Loveland.